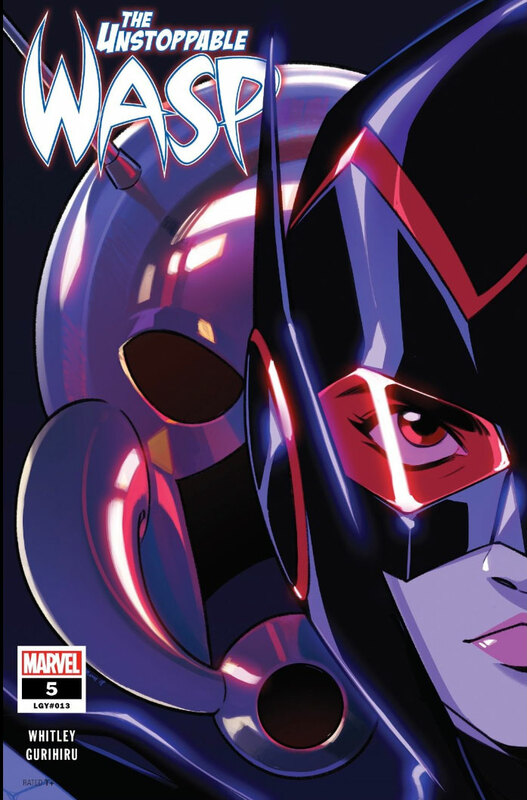 Nadia van Dyne’s exploits as the latest Wasp have created an all-new, all-different legacy for the Marvel Universe. From adventures with the Avengers to scouring the world for new Agents of G.I.R.L., an organization designed to specifically find, support, and highlight the work of genius women all over, she has added a quirkiness befitting of a superhero, despite a rather turbulent history. 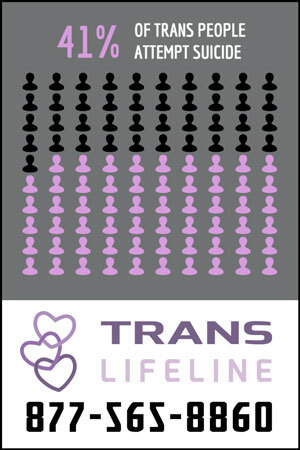 As part of her story, Nadia also experiences bipolar disorder, a mental illness characterized by periods of (hypo)mania, marked by inordinately high energy and lack of sleep among other criteria, as well as depressive episodes, both of which can have numerous time frames and presentations. 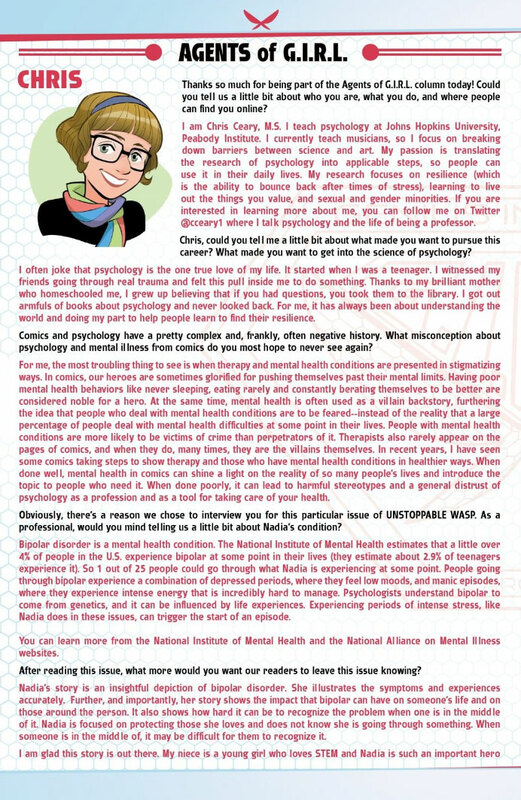 To further elucidate the role of the disorder in Nadia’s life and possible ways to craft a narrative around this experience, Comicosity connected with Jeremy Whitley, author of The Unstoppable Wasp, who did his own research regarding the illness and how it can show up. 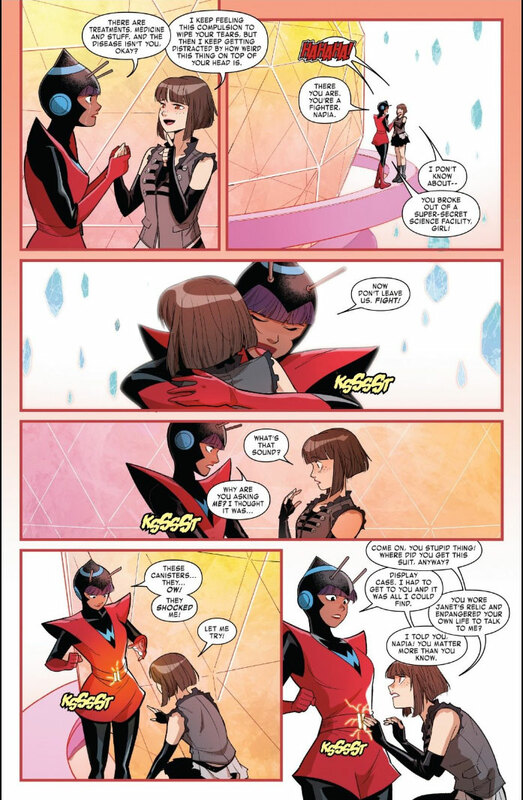 “It was something we talked about early on, even while working on the first volume of The Unstoppable Wasp”, Jeremy Whitley shared on the transition he wrote for Nadia. “It was something we wanted to explore, that felt interesting for the character, given that Hank has this established history of bipolar disorder (and it is something that can be passed down). There’s a much higher incidence of having it if people in their family have it. “I felt like it gave us an interesting opportunity to handle the question of mental illness in super-heroes that I don’t think comics were quite prepared for when Hank’s mental illness first surfaced. It’s a very — different — presentation of mental illness in that original Avengers story when everything goes down with Hank, and arguably not improved by what happens in Ultimates. Bipolar disorder as a revelation for Nadia fits in really well with the history of the character and her lineage, given her biological father’s erratic behavior — and ultimately diagnosed mental illness — on the comics page. 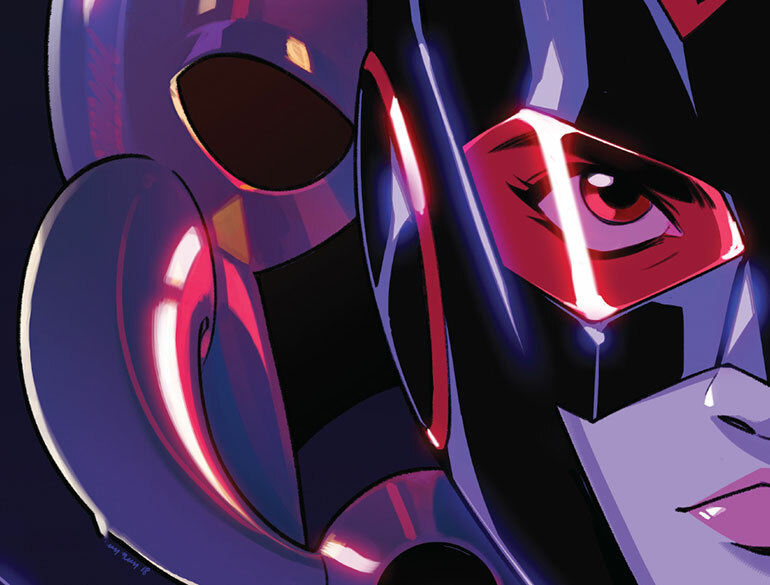 Hank Pym’s breakdowns are well-documented, and while never intended at the start to be written as chronic abusive behavior, that sliver of imagination grew over time for subsequent writers. This regular swing between ultra-heroic and darkly withdrawn behaviors ultimately came to be diagnosed in the Marvel Universe post-Secret Invasion. And so it’s not necessarily a surprise that his only (human) child could be at risk. Nevertheless, as a reader, it still packed a bit of a punch to see this side of Nadia revealed on the actual page. But even in issue #2, you could see shadows of it. 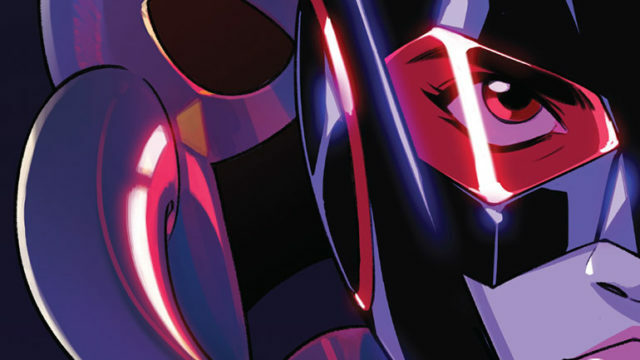 “As early as the end of issue #1, we start talking about how Nadia doesn’t have an idea. She doesn’t have a place to start with her inventions, and usually she’s on top of that. Now she’s living this life where she has so much more stuff and so many more things happening. In a lot of ways, it’s the full realization of what she’s always wanted, having come out of the Red Room. “But she’s suddenly struck with the reality of not being able to dedicate all of her time to doing science, as she had back then. So, we build stress on stress on stress, until issue #3, where things go really wrong and it becomes a trigger for her. We don’t really deal with that actual episode until issues #4 and #5. But how do you prepare yourself to build this kind of representation and give it an accurate and empowering face? 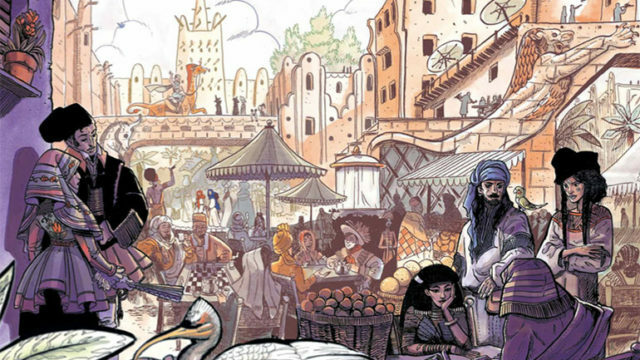 We talk about how creators manage all kinds of representations, and Whitley himself has a lot of experience working across identities not his own in his Princeless and Raven the Pirate Princess titles. 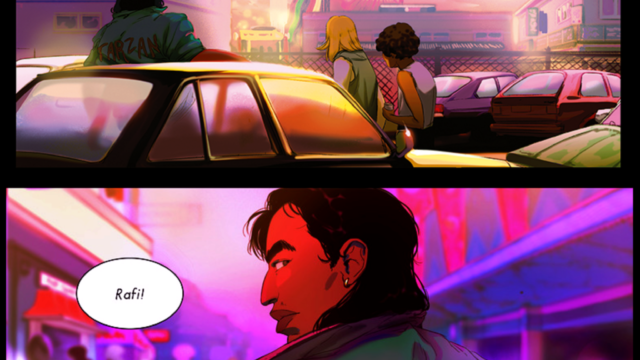 Racial boundaries and different sexualities are crossed in both titles, and there’s a lot of work to making that feel authentic. “You start by being far enough ahead on things that you don’t end up pushed to deadline,” says Jeremy Whitley, hitting a practical note for creators. “I wanted to spend the time to present things accurately. I did my own reading on bipolar disorder and made sure I felt like I had a pretty good grasp of the basics — understanding what it would look like. “And then I listened to stories about bipolar disorder by people who deal with bipolar disorder. I wanted very specifically to follow Nadia through a manic episode in this story and not have it feel like a thing seen from the outside. 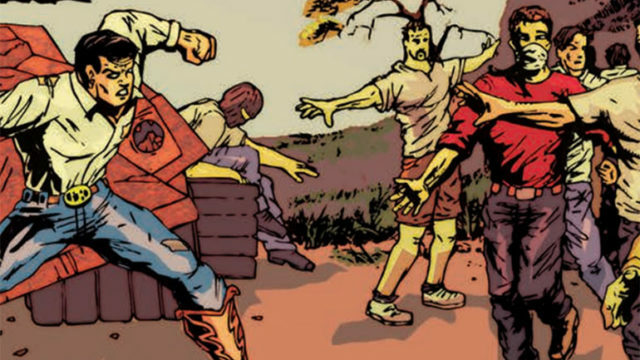 “I wrote my first draft of what I thought the story would look like, and then took it to a number of different folks, from my psychologist friend Matthew to Chris, who is the professor of psychology I interviewed at the end of issue #5. 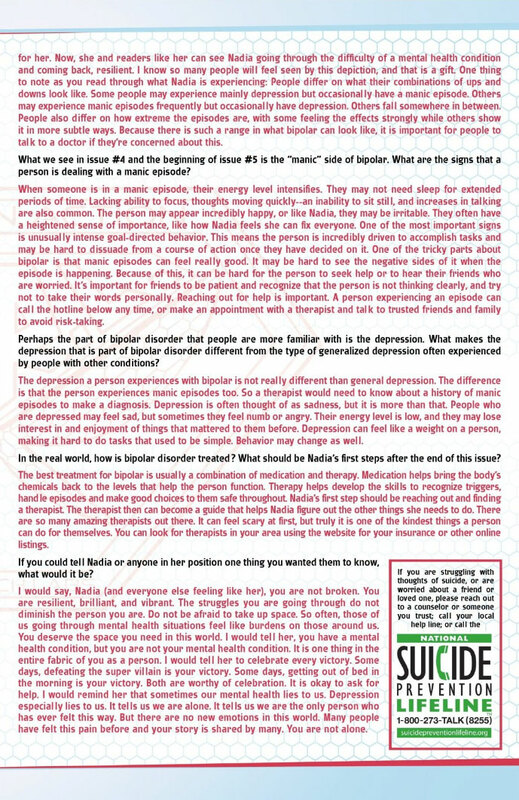 I talked to a few more people after that, who either have bipolar disorder or are caretakers for someone who does. I wanted to make sure that it felt realistic and had that horror movie element where you can see the pieces falling into place, but the character themselves can’t. They don’t recognize it. “But when Janet walks in, she can think, ‘Whoa. This looks weirdly familiar.’ I wanted that same effect for people reading it. “And Nadia herself knew this was a possibility. But something people don’t talk a lot about when representing bipolar disorder in pop culture is that you might get a hint mania is going on — but it feels good. It feels like things are progressing how they should. In Nadia’s case, she felt like she was getting this stroke of genius, so she doesn’t see that she’s slowly degenerating, getting less done as her mental state deteriorates. 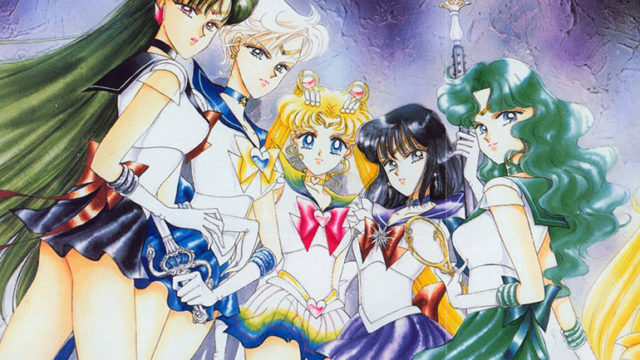 Being able to see this change to Nadia’s presumed base normal through the eyes of other characters is important, but it is a more difficult task in trying to represent the experience of bipolar disorder in Nadia herself — and doing so without misrepresenting people who are already facing a lot of stigma and social stereotyping. 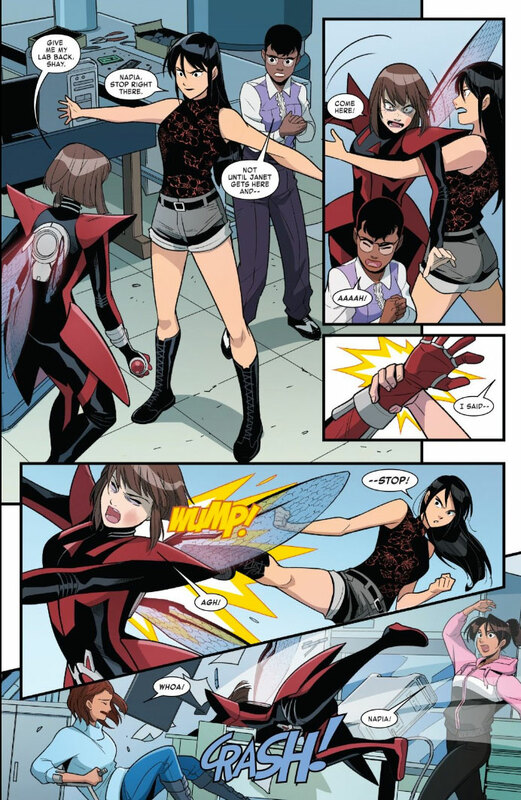 Whitley continues, “Especially in issue #5, I had to make some choices about what uncomfortable feelings Nadia would have that I could stick with. Feelings that would allow Nadia to say things that maybe are not things you necessarily would want somebody explaining bipolar disorder to say. But something that would feel really real from her perspective. It gave me a chance to really dig into that, instead of making an after-school special. This is not just an issue with depicting mental illness, but a barrier to be overcome for any creator representing experiences not their own (and sometimes, even their own) with specificity. There can be highly charged moments associated with self-shame, whether it involves coming out as queer or dealing with physical or mental limitations. 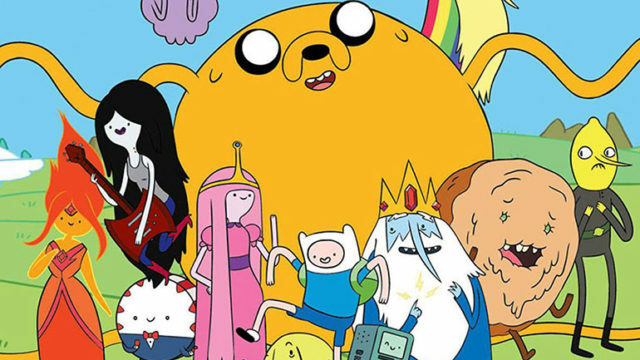 We’ve seen creators who avoid these kinds of moments entirely so as not to further reinforce stigma or trauma, and others who lean into it from a personal place — more often than not in creators who are the traditionally underrepresented identity they are depicting — but don’t provide a counter-point. Something to illustrate that however real that moment is, it’s not healthy or kind, as depicted. How Whitley uses Priya in issue #5 helped offset a very real feeling Nadia was having, without legitimizing her self-shame in the process. It was a jarring moment between the two of them, but it wasn’t bad. It felt real, and very raw. It’s not going to be easy for a lot of people to read, but it’s vital for the bigger conversation around bipolar disorder. And Taina’s anger felt so real, and simulated actual dialogue heard in groups with people who are mentally ill. The anger from the people around them reflects the fact that those suffering from mental illness do in fact have an impact with their actions that rationale doesn’t completely undo. 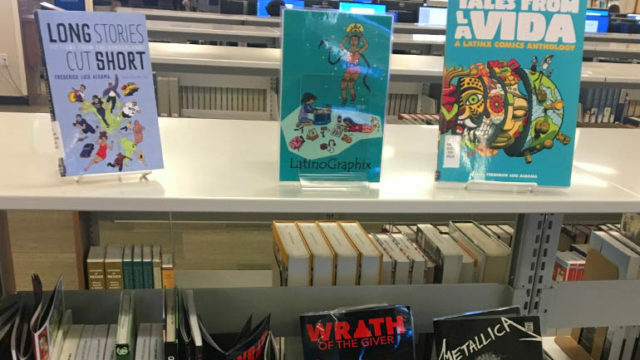 “There is this history in comics, obviously, of using a variety of mental illnesses as stand-ins for whatever someone wants to do with a character,” Whitley reflects. 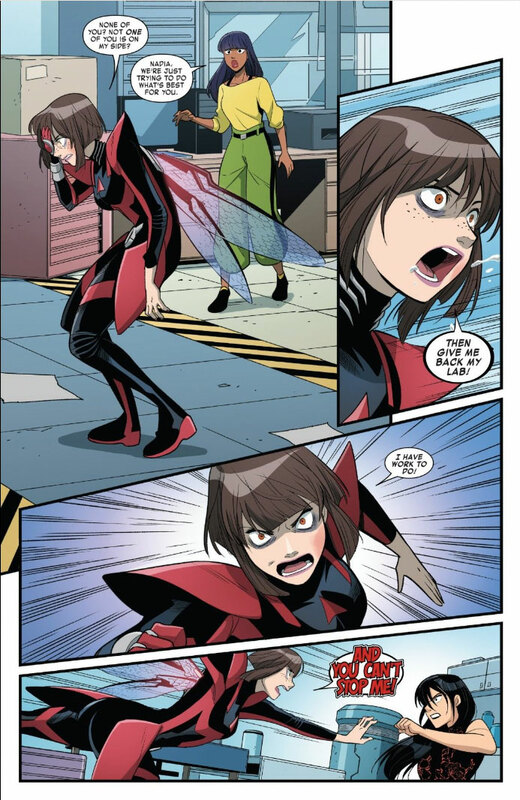 “That was definitely not what I wanted to do with The Unstoppable Wasp. It was very much about the character. 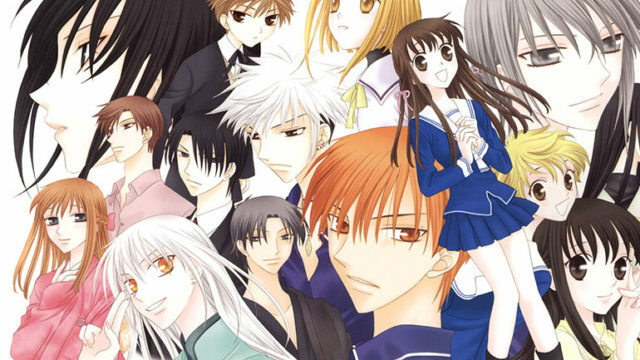 “And I wanted to make sure it felt like it was something happening to all of the characters. Priya feels this compulsion to help, because she wasn’t there for her brother when it was going on with him. In her mind, she has no more choice to be in this space with Nadia than Nadia has to be there. It’s what she needs to do. 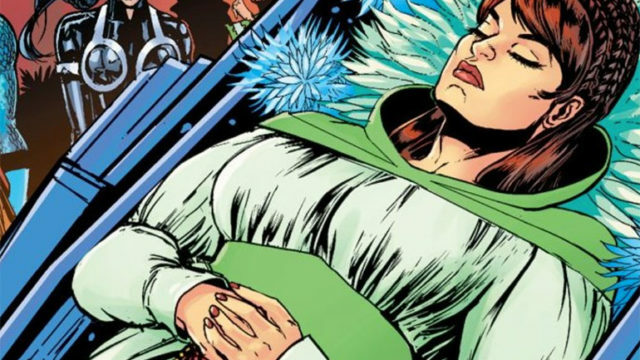 “But the opposite is true for Taina, who very much feels like she needs to leave, because Nadia’s vision of her as broken is setting off a trigger for her as a person with a disability. She’s already in a place where she’s angry with Nadia, so when Nadia starts fighting, she can’t bother trying to save her. Nadia’s reaction to her friends is very jarring and very raw, but that reflects the reality of how a manic phase can roll in for people experiencing bipolar disorder. How you think and how you process information changes, but what is the impact on the people around them? Yes, the focus often is largely on the person experiencing an escalation of symptoms themself, but there’s a very real effect on the people they care about that momentarily — or indefinitely — creates a rift in relationships. Looking back at the history Hank Pym and Janet Van Dyne shared, Whitley notes, “In the case of Hank and Janet, we can definitely see how these moments can permanently affect relationships. We’re still exploring where everyone in this group goes from here. I want to make sure that everyone’s path forward and how they feel about Nadia feels true to the characters. And feels earned. Moving into the future, Whitley now has an opportunity to build on what he’s started, and show how Nadia can take what she has learned and add it to her mental toolbox for later. “One big question is that Nadia may have an opportunity to recognize a manic period coming on, and has more tools to stop it, but will she want to? When you’re a super-hero and the world is potentially on the line, that’s a much more difficult question. 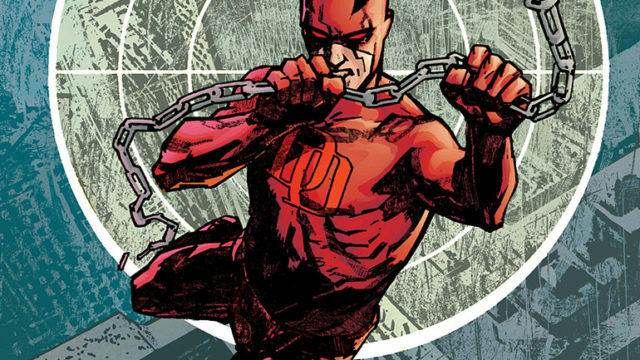 “The interesting thing for me about exploring mental illness in a super-hero comic is that we so commonly expect super-heroes to do things which are completely mentally unhealthy. We expect them to push their minds and bodies beyond the limit. That’s what super-heroes do. 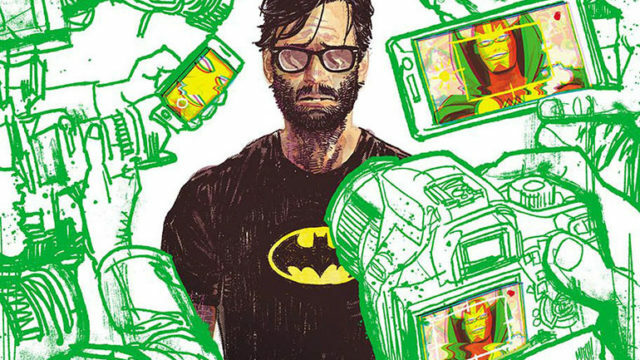 We don’t often see the consequences of characters that push themselves to the limit in comic books, but when you’re talking about the reality of a mental illness and showing symptoms in a realistic way: what’s the creator’s responsibility? Is there a need to tell the “right story” about mental illness — one with a strictly positive message — or the most realistic story? “I think there’s room for both,” Whitley concludes. 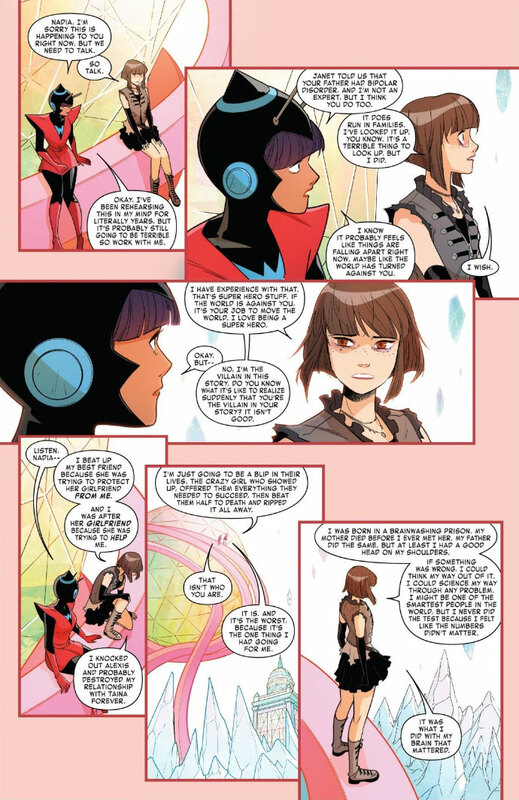 “Markedly, issues #6 and #7 of The Unstoppable Wasp are much more low key than #4 and #5. We’re going to be taking a step back and doing a little bit of recovery, as well as dealing with Nadia working to fix her relationships among the Agents of G.I.R.L. And #7 is Nadia’s first birthday party (she’s never had one before!). 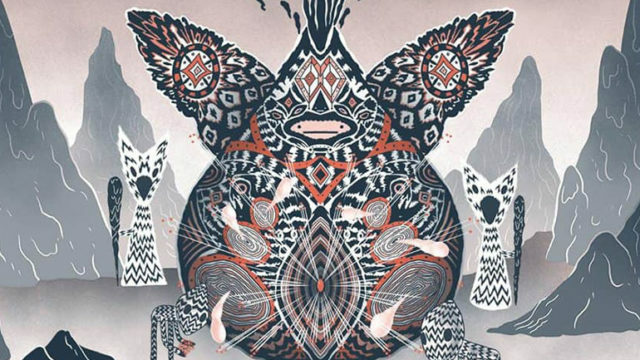 With social stigma and colloquial inaccuracies, bipolar disorder in the common mind is often disparate from the lived experience of those diagnosed with the disorder. Considering everything that goes into diagnosis, from how long symptoms are presenting to the different iterations of bipolar disorder or manic episodes, there may never be one true narrative. However, Whitley’s work gets pretty damn close. 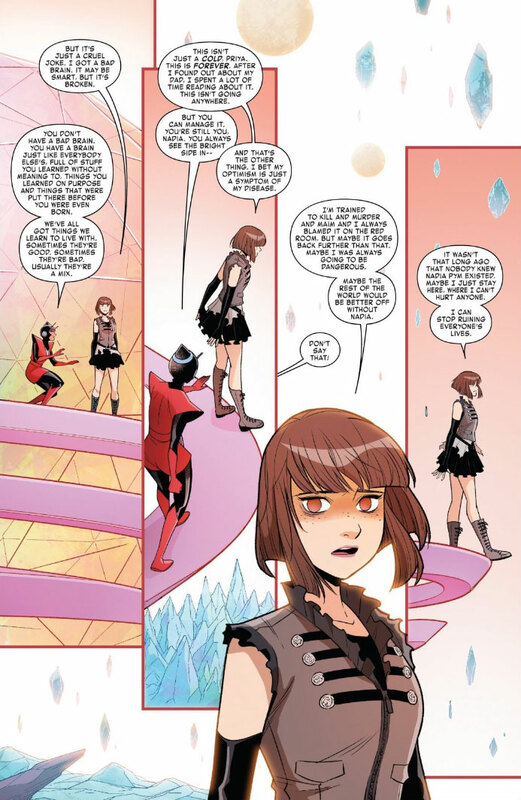 By capturing not just Nadia’s shifts between mania and depression, demonstrated with a well-used timey-wimey plot point, but also the responses of those around her, Whitley in The Unstoppable Wasp has helped illuminate a truth that many people do not see. The input from clinicians and those diagnosed with the disorder was a necessary facet of moving Nadia’s world forward. Rather than lean firmly into the heroics, we get to see a much more nuanced depiction of the experience with mental illness than we typically do, especially for those who don capes and cowls. Telling these stories isn’t easy, but it’s important, because pieces of fiction influence how we perceive and understand our and others’ realities, for better or worse. So, by having a frank discussion about bipolar disorder through Nadia, Whitley has created another piece of media that more accurately portrays something that is too often and unnecessarily pathologizing. As a result, Nadia’s story, and others like hers, may be the thing that points the way forward, whether someone has experienced these symptoms themselves or they know someone close to them who has.